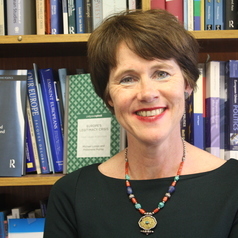 Her research interests are in Brexit; comparative regional integration; EU-Asia relations; EU-Australia relations and EU governance and legitimacy. Publications include Australian Journal of International Affairs Special Issue, edited with Margherita Matera, on Australia's Relationship with the European Union: from conflict to cooperation, 72(3), June 2018; Longo, M. and Murray, P. (2015) Europe’s Legitimacy Crisis: From Causes to Solutions, Palgrave Pivot; Brennan, L. and Murray, P. (2015) Drivers of Integration and Regionalism in Europe and Asia: Comparative Perspectives, Routledge; Christiansen T, Kirchner E, Murray P eds. (2013, paperback 2015), The Palgrave Handbook of EU-Asia Relations, Basingstoke, Palgrave; Murray P and Rees N eds., “European and Asian Regionalism: Form and Function”, International Politics, 47, 3/4, May/July 2010; Murray P ed. (2008) Europe and Asia: Regions in Flux Basingstoke Palgrave and Murray, P. (2005) Australia and the European Superpower, Melbourne University Press. Murray P Ideas of Regionalism: The European Case, Japanese Journal of Political Science, 12, 2, 305-322. Murray P East Asian regionalism and EU studies, Journal of European Integration, 32, 6, 597–616. P. Murray and N. Rees eds., Special Issue. “European and Asian Regionalism: Form and Function”,, International Politics, Vol. 47, Numbers 3/4, May/July 2010. P. Murray (ed.) Europe and Asia: Regions in Flux, Basingstoke, , Palgrave Series in European Union Politics, 2008. P. Murray, Australia and the European Superpower: Engaging with the European Union, , Melbourne, Melbourne University Press.